This is a storybook, Walloon Lake home with unprecedented, panoramic views. 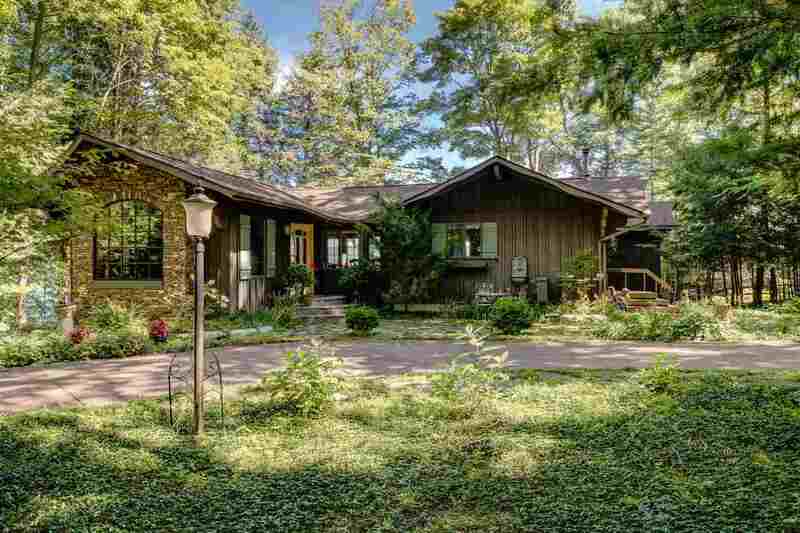 This 3~bedroom, 3 bath home is nestled in a quiet bay on nearly .5 acre with 105' feet of pristine, sandy, lake frontage. The property includes a buildable 2~acre lot across the street for additional privacy or expansion. This home has been impeccably maintained with no detail spared. As you enter through the front door, you will be greeted by a warm and inviting interior. The main floor features an open floor plan that includes a music room, living room with stunning wood burning fireplace, remodeled kitchen, large master suite with soaking tub, second full bath and laundry room. The deck accessible from the main level is ideally situated for grilling, lounging, and dining. The walk~out lower level is the perfect complement to the rest of the home. This area of the house features a large family room. French doors open into a guest bedroom that includes space for an at~home office and stunning views of the lake. A second guest room is adjacent to the full bath and is roomy enough for a cozy sitting area and panoramic views of the water. The natural landscaping surrounding the home invites you to sit and unwind and take in the beauty around you. This home includes ample storage and a detached two~car garage..